Pipkin hops along an old stone wall on the way to Prospect Hill in Dummerston, Vermont. He's surprised that these rolling hills, now covered with mature birch and pine trees, were once pastures. 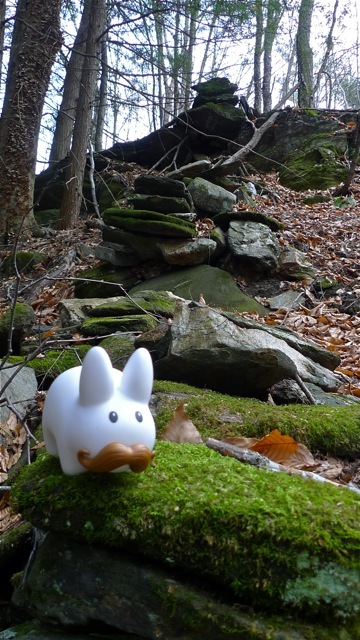 Only the surest of sure footed labbits should hop along moss covered stone walls. It can be very slippery! Pipkin could learn a thing or two about long distance travel from his new whale friends. 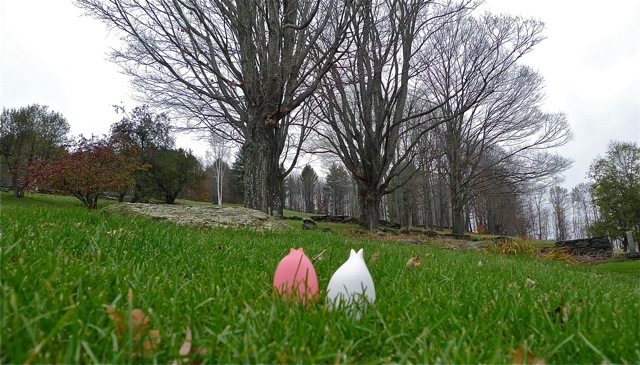 Here they are, swimming their way through East Barnard, Vermont, carefully avoiding mossy stone walls.